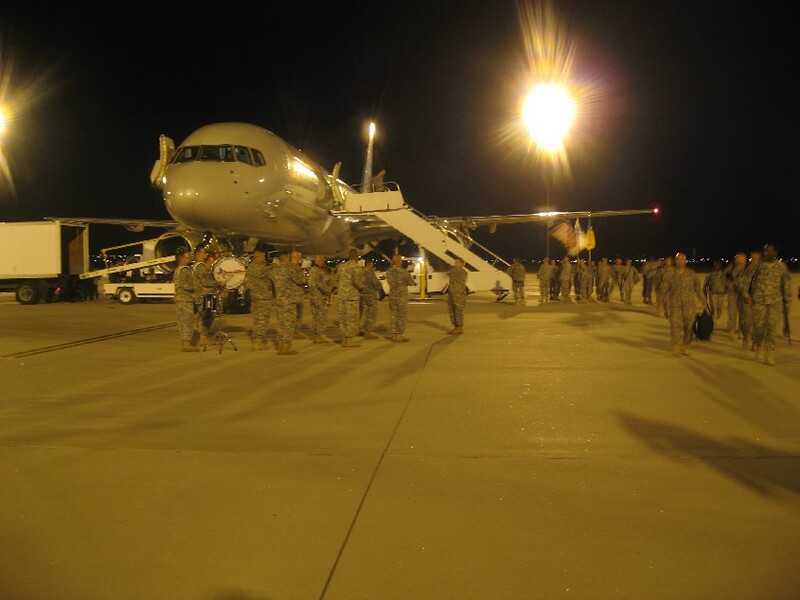 It’s been over a year since I left Joint Base Balad, Iraq. So much has happened! There are still 50,000 US Forces in Iraq, and the mission has been changed to simply supporting the Iraqi government, rather than an active combat role. When I was on JBB, it was a US and Coalition Force base only. I understand that now there is a small contingent of Iraqi forces on the base itself. 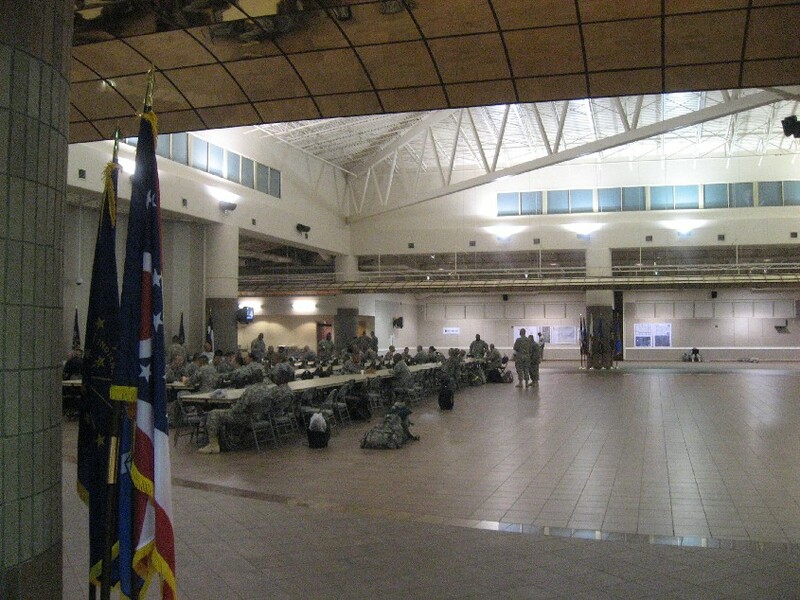 They took over my precious DFAC #3 (my favorite Dining FACility), and it’s now an Iraqi Army headquarters. I still keep in touch with a few friends at JBB. My Ugandan friend Kelvin is still there, and once in a while I correspond with the legal office, and email the person who is in my chair doing the legal assistance. From time to time, I get an email or letter relating to something I did during my year in Iraq, even now a year after I left. In some ways, my time in Iraq was a vacation. I had no mobile phone, and actually enjoyed the peace and tranquility that a year without a cell phone can bring. There was time to read many books and watch several good movies, time that I don’t have now that I’m home with the kids after work. There was time every morning to exercise. And the food that they gave us was really great, I’ve never eaten such tasty, healthy food in my life. The dining facilities get top marks from me – Honest! The thing that I tell everyone about Joint Base Balad and Iraq in general is that it is really very safe, and in fact it can be fun. It’s important to approach all things with the right attitude. So that’s all I can say about Joint Base Balad for now. It’s still a very interesting, safe place to be, and if I didn’t have my family I’d probably try to return there. It’s a very good place to work and live, and I view my year there very proudly. It’s been said that every military person who goes there is a hero. I don’t quite agree with that. I was just doing a job. But it is true that this is probably the only time in my life that I’ll ever be shot at. When I say this, it’s a bit of an over-statement, because the rocket and mortar attacks were quite infrequent, perhaps once every two weeks (More during dust storms). These indirect-fire attacks never got anywhere close to me, or anyone actually, which leads me to think that the people firing at the base were intentionally trying to miss, and just wanted to get paid for doing the attack. 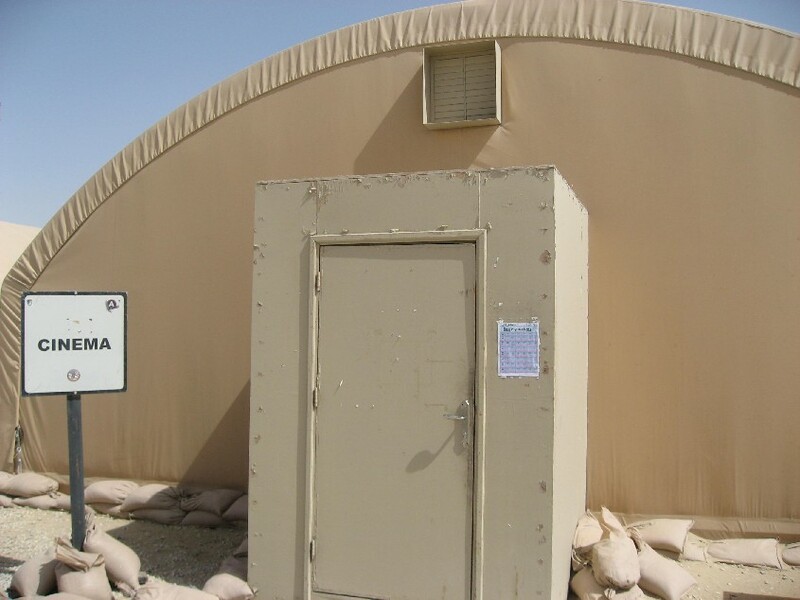 The closest attack to me, personally, was a night in April when a rocket landed about 300 yards away from my CHU (containerized housing unit) in a gravel field at 3AM, and failed to explode. A friend of mine told me this scared the crap out of him, because he heard it and saw the Explosive Ordinance Disposal folks take care of the rocket. As for me, I slept through the whole thing. In my personal life, things are going wonderfully. I’m a solo practitioner attorney, and my clients were waiting for me when I returned. The practice was a bit slow the first month or two, but ever since then business has been roaring. I’ve filed 100 bankruptcy cases in 2010 alone. Landlord-tenant work also is reasonably active, and I’ve had some very good civil litigation cases this year that have been quite lucrative. It’s been so busy that I’ve hired an administrative assistant (legal secretary). The really big news is the birth of my son, Matthew, who arrived on Aug. 4, 2010 (see picture above). His big sisters Judy and Rebecca love him, and he’s a very beautiful little boy. We’re very lucky. 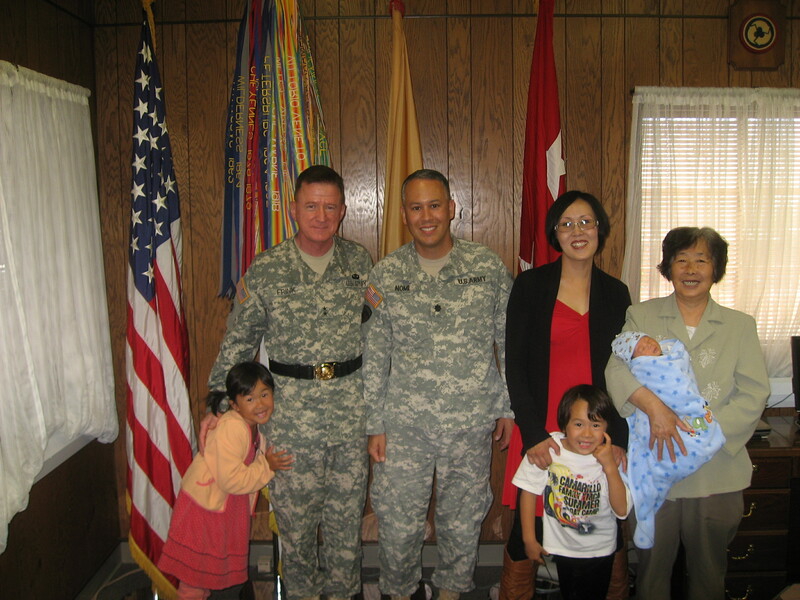 I think that my deployment to Iraq was much harder for my family than it was for me. I certainly missed my children while I was gone, though. It was painful for me to think about how my children didn’t understand why I was gone. I always promised that I’d be back, and they believed me. They knew that I was in a dangerous place. One time I heard Judy telling a friend that her dad “was in Iraq and had a shooter,” which of course is true. A few funny stories about my children from when I was in Iraq: When I was away I’d often talk with the kids on Skype using video. My wife mailed me some of the pictures that they drew. I liked showing the pictures to the kids on the video sometimes, and Judy enjoyed saying “I drew that!” One time, Rebecca saw something she had drawn, and she got upset and demanded “Give that back!” Of course, she didn’t realize how hard it would be for me to do this. Another time, we were talking on Skype with a video chat. The children became excited, and Rebecca even went downstairs to try to look for me, thinking that I was downstairs. How heartbreaking it was to think about her searching for me and not being able to find me! 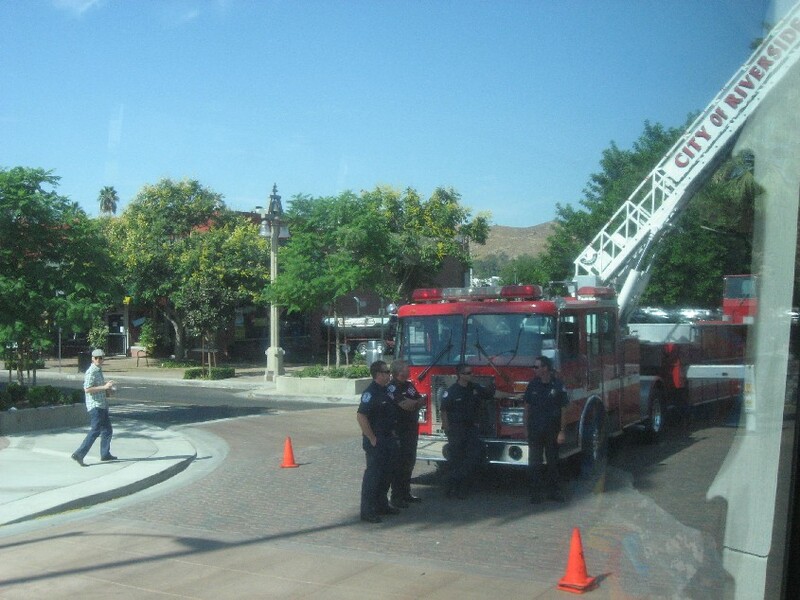 When I finally returned home, we had a big welcome back ceremony in Riverside, and my family came to it to greet me. The first thing that my daughter Judy said to me was “Are you going back to Iraq?” I was happy to tell her that I was not. When I first returned home, it was very easy for me. Even my cat Buster recognized me and acted friendly to me, he normally is afraid of strangers. Not sure what else I’ll be doing with this Blog. I’m proud that it’s gotten nearly 200,000 hits over the past two years, and is ranked as the chief source of info on JBB, right below the official JBB website. I may not post here often, but I’m glad that it is a good source of information on JBB, and the tens of thousands of people who deploy there every year. To the extent that every military person makes a sacrifice, and puts his or her life on the line, then yes, I agree we are heroes. This post began with a photo of the famous “Heroes’ Highway” from the hospital to the helipad, one of my last photos in Iraq. To view a very interesting fire-fighter newsletter, please see here: I like this document, because it gives a good insight into life at JBB. Finally, a comprehensive list of Iraq-specific military acronyms is attached. Very handy, even for someone with a lot of military experience. Thanks to all who have written in about the blog. I appreciate all of your comments! Well, almost all – A few potty mouthed hecklers have had their posts deleted, but these are by far the minority. 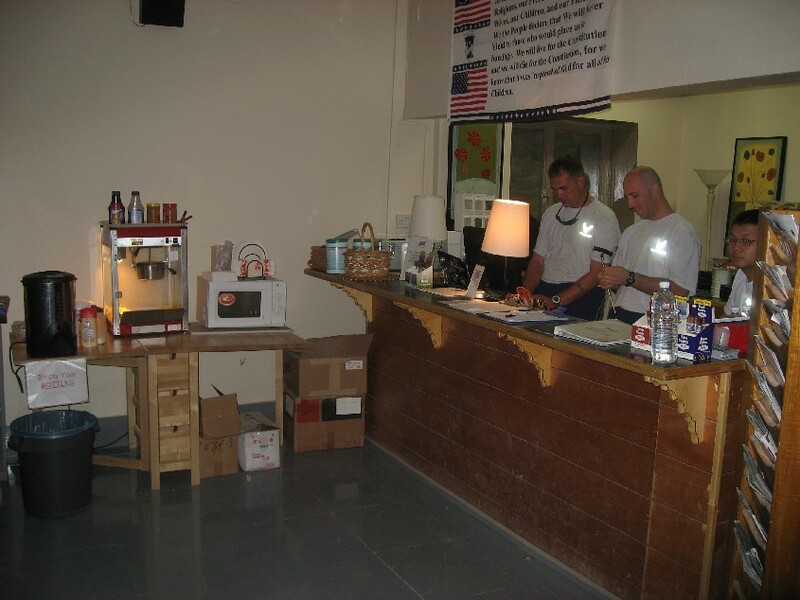 Hopefully you find this blog to be a useful reference about what life is really like at Joint Base Balad, Iraq. I have a request for you, dear reader. 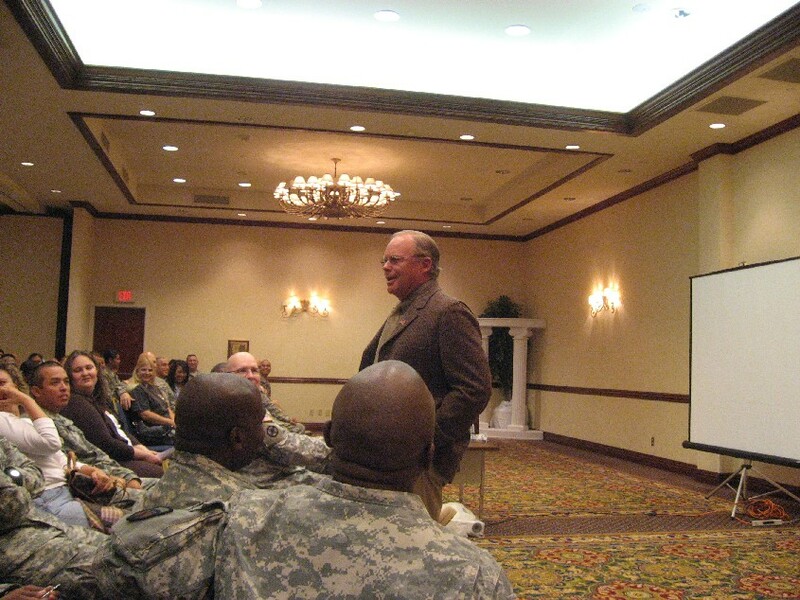 Since my return from Iraq two months ago, I have been working to get my law practice back on its feet. One aspect of this is to try to get some publicity for my business website. So, if you would like to help me re-establish my business after my year in Iraq, here’s how you can do so. 2. If you are feeling motivated, please go to the Camarillo Chamber of Commerce site, which is HERE: Click on “Business Directory” at the top of the page. In the “Search by Category” box, enter “Legal/Attorneys” and click “Go.” Then click on my site from the list that results (it’s under “Law Office of Brian Nomi”. This will get me noticed on the chamber website, which would be a help. 3. If you REALLY want to help, put a link to http://www.briannomi.com/ on your website! Having incoming links helps me get better Google ratings. Another helpful idea might be to find my site on Google, and then write a review, if you are able to do so (I have many happy clients whose review would help with my Google ranking). Thanks a lot for your support! I promise, this will be the only time I promote myself in this blog. 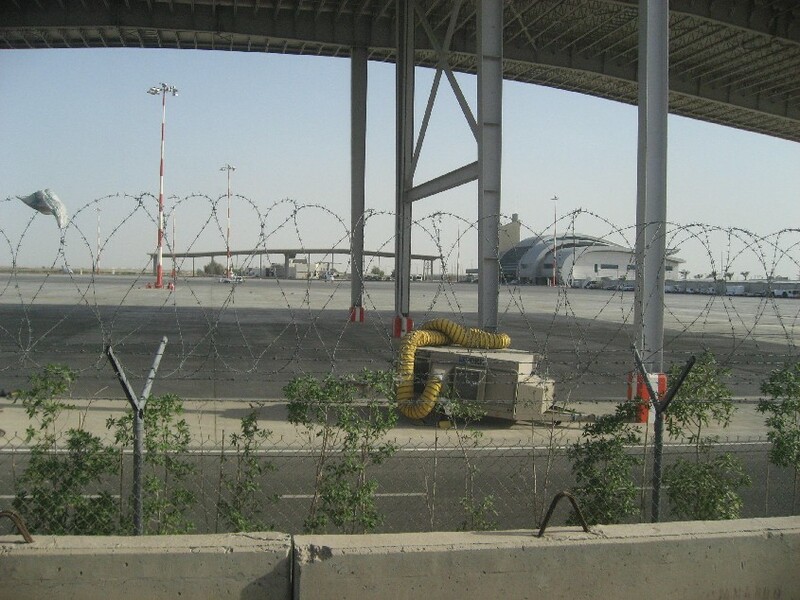 When you arrive in Iraq, you are far from home and in an unfamiliar environment. Most of Joint Base Balad consists of warehouses or working buildings dedicated solely to the Army mission, and it’s not a friendly, welcoming, or comfortable place. As shown in past posts, JBB has many other ways to compensate. 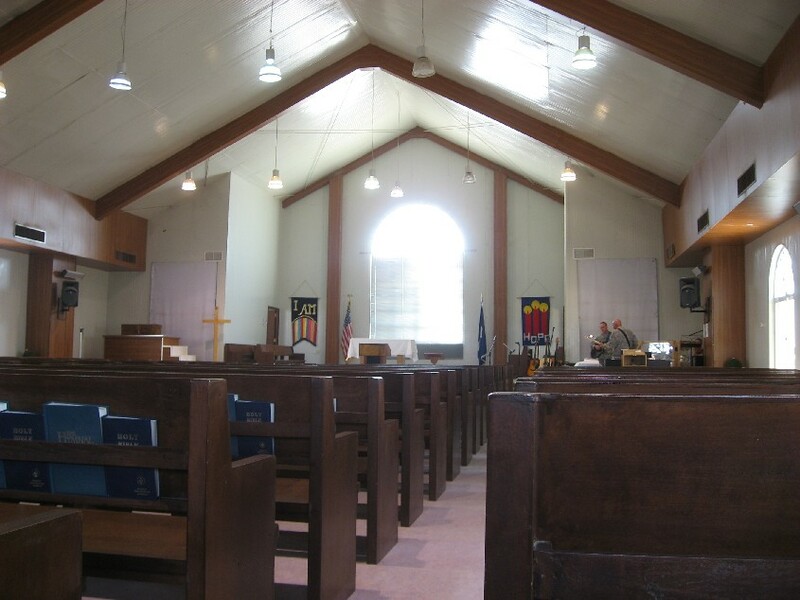 I’ve discussed the swimming pools, the rec centers and gyms, the movie theater, the wonderful food at the DFAC’s. One special place on JBB is the USO. USO stands for United Service Organizations. The USO Website says “Since just before World War II, the USO has been the bridge between the American people and our men and women in uniform, conveying the heartfelt appreciation and support of a grateful nation. Whether it is a quiet place to go for rest and relaxation, movies refreshments, or a friendly face, the USO consistently delivers its special brand of service to the military.” You may remember learning about Bob Hope or other entertainers going around during WWII to entertain troops in connection with USO events. 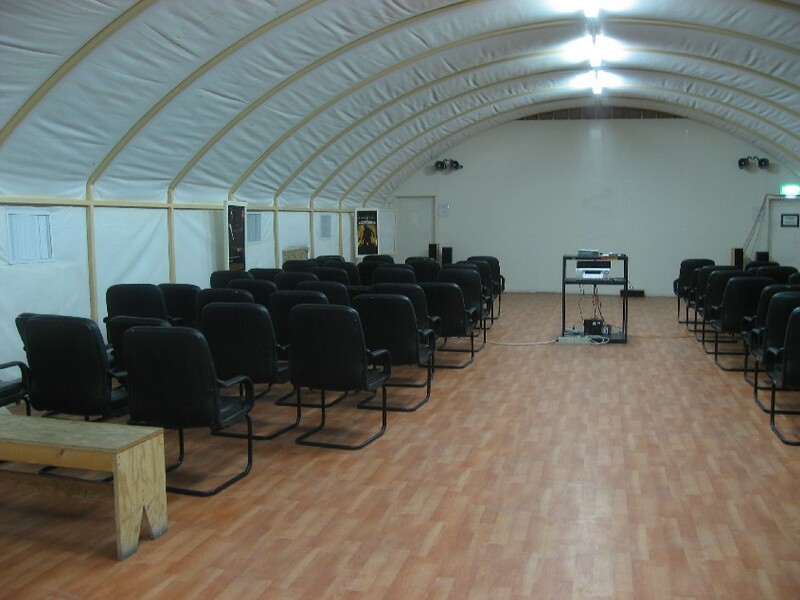 The USO has had facilities around the world dedicated to helping comfort troops. Today, the USO has some lovely facilities in certain major airports, such as the Dallas-Fort Worth Airport, which include things like free meals and snacks, video taping soldiers reading books to their children, and even a place to sleep if you are stuck overnight at the airport. 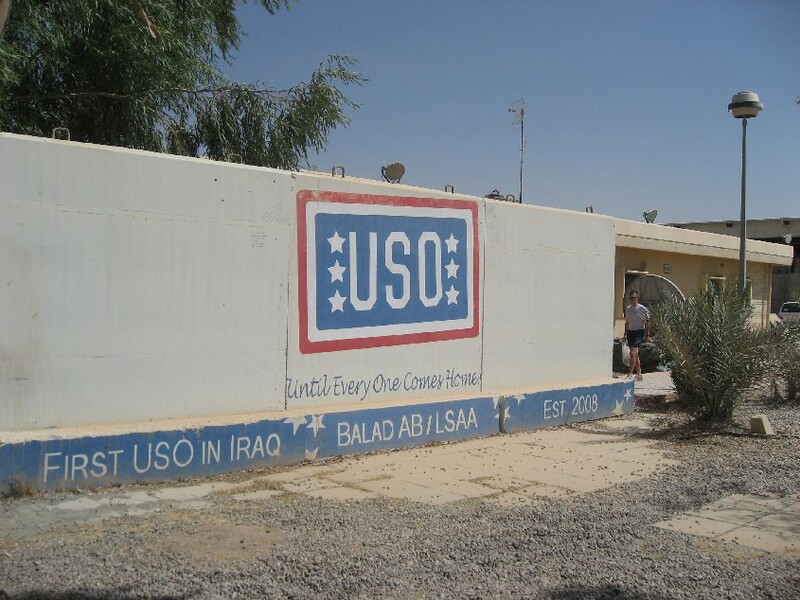 There are USO’s all over the world. 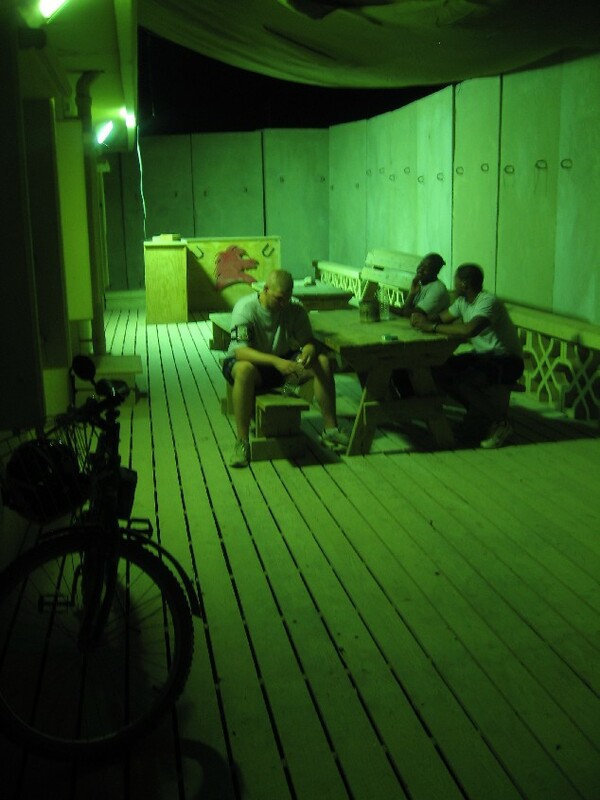 The JBB USO is primarily a place to hang out and relax. 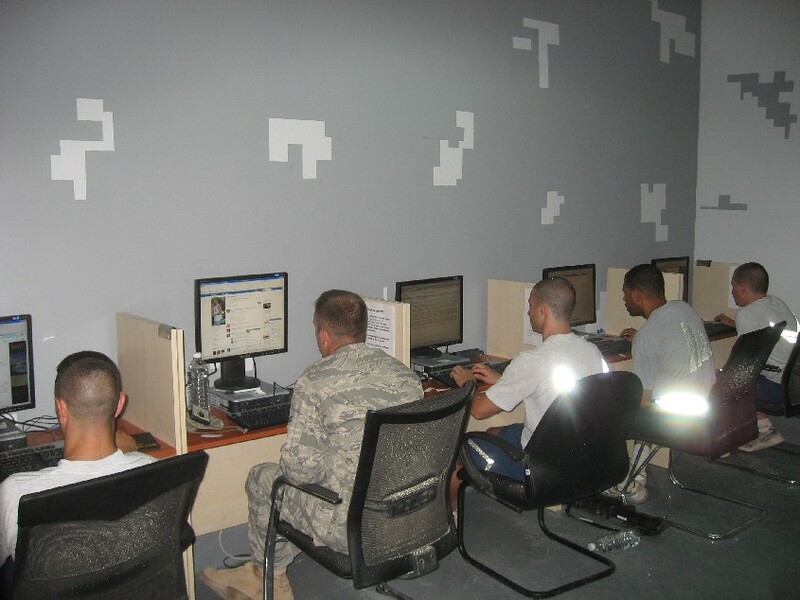 They have a big-screen TV which constantly has on a movie, two telephone rooms where you can phone the USA for free on a VOIP phone, and an internet room where troops can use computers. They also have game rooms, and a great many books, magazines, and other little presents (e.g. toothbrushes, sunscreen, etc.) for the troops. When you enter, you see the front desk, which always has someone ready to offer help. They also have snacks, including cookies, popcorn, and peanut butter & jelly sandwiches (make them yourself). Of course, free water is available, as it is at most every building. The military is required to give you water. The front desk will set you up with a game, or a craft — they have these strings that people love to knot up to make bracelets, which is very fun and a nice way to make a souvenir from Iraq. You’ll see my photo at the grand opening, sitting next to the cute Air Force gal. My very favorite thing was “Family Guy Fridays” at the USO. This consisted of free pizza ordered from the Pizza Hut, and a FG marathon. It was a lot of fun to watch Family Guy with all the other troops, and hear everyone roaring with laughter at the crazy humor in that show. The USO is where I got hooked on FG. 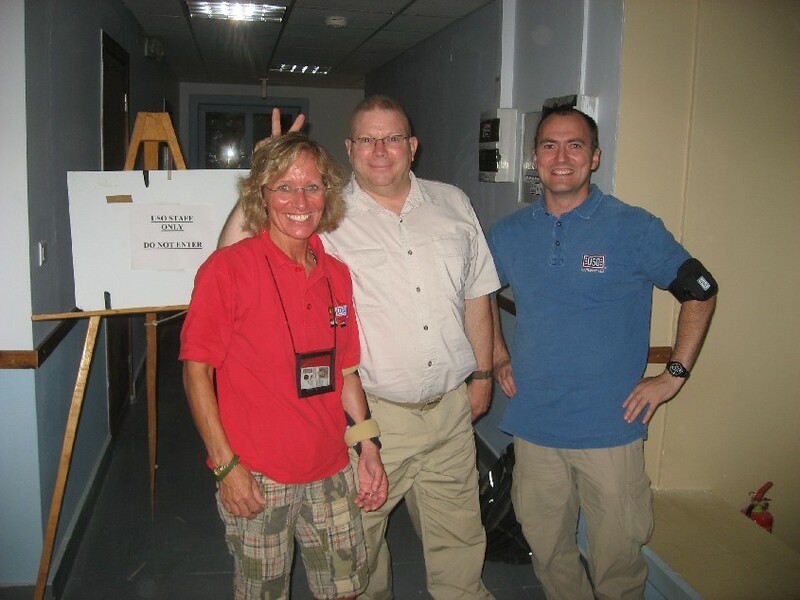 Here is Suzanne with a couple of visiting USO honchos. Suzanne is a very energetic and happy person, she always greeted me when I came in. Her husband lives in Iceland, while she works in Iraq. She is presently organizing a female football league, and I wonder how well that is going. Unfortunately, I did not have a chance to take photos of the two young guys from Washington State who often staff the USO. They left for leave before I could photograph them. Those guys were 25 years old, and had long hair, which made them really stand out among the military crowd with the military haircuts. But they were good guys, no doubt about it! So anyway, this is my tribute to the Joint Base Balad USO. 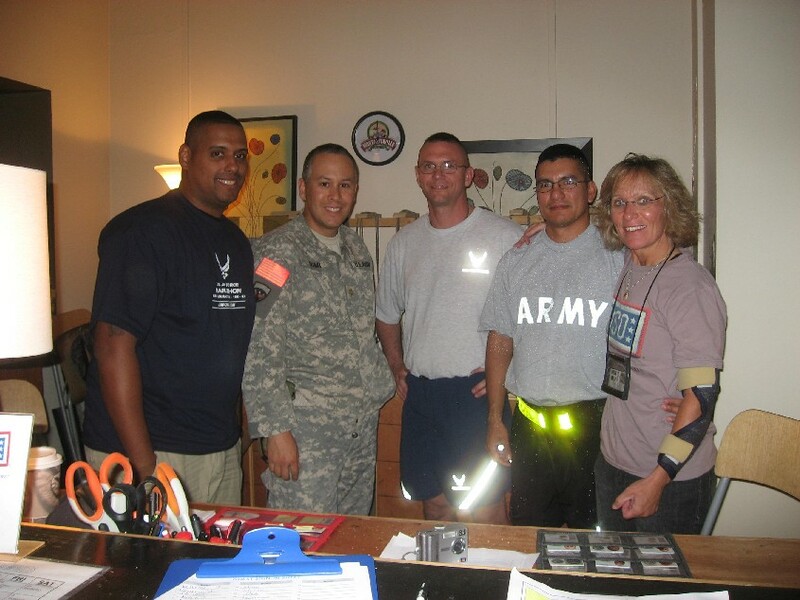 I spent so many hours there, and greatly appreciated all that the USO did for the soldiers and airmen at JBB! You are a great place, and a great organization. Thanks to all who worked at, or volunteered with, the JBB USO!!! There are a few more things that I’d like to say about the deployment to Iraq, so this blog will keep going for a few more months, maybe even longer. The topic for today is blogging itself. When I started this blog, it was for two reasons. First, to keep my family and friends informed about what was going on for me in Iraq. It’s easier to do the blog than to try to explain everything to every one of my friends, and the blog allows the sharing of photos and other files very easily, which makes it a great way to keep in contact with folks back home. So from time to time I’d email my friends and let them know to check on my blog, and kept a link to this blog on my Facebook page. The second reason I created this blog was to let the world know the truth about what life is really like in Iraq, which is a job that the media in general is not doing well. 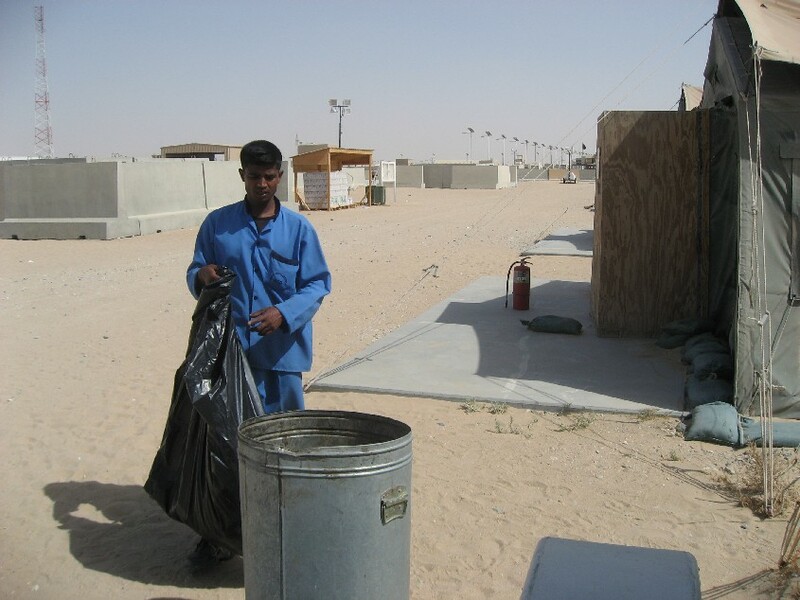 I show pictures and descriptions of real life at Joint Base Balad, Iraq. You can judge for yourself how well I’ve done this. One idea I don’t think I’ve conveyed adequately is just how safe it is in Iraq for US personnel. About 95% of the folks in Iraq never leave the base, even on a convoy. The base itself is very well protected. There is a 15-foot high fence surrounding the perimeter with motion sensors, and guard towers. 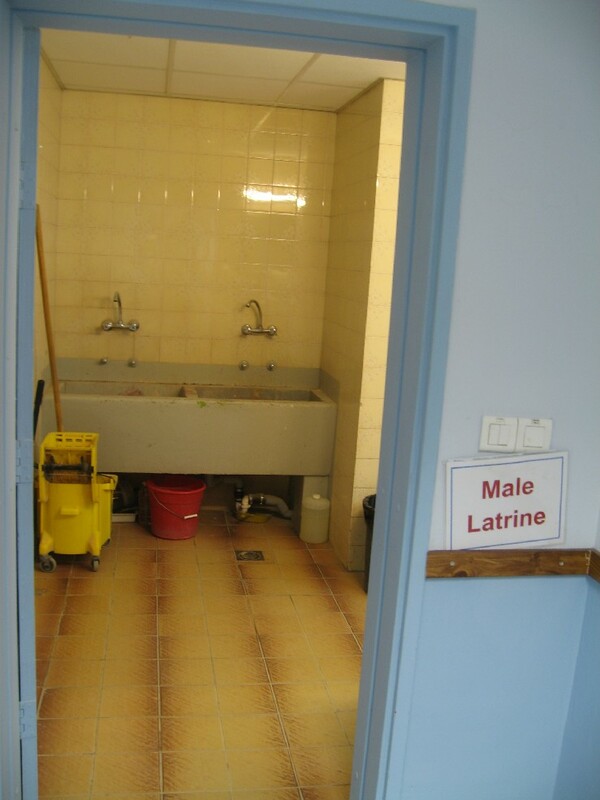 Nothing gets into our out of the base unless it’s carefully checked by some good security forces. The entire year, I never heard of anything like a ground attack on any base anywhere in Iraq. The only threat was the occasional mortar or rocket attack, perhaps once every week or two. Most of these missed the base entirely, and those that hit usually hit the middle of a gravel yard somewhere. So aside from the occasional mortar or rocket attack, being on Joint Base Balad is about as safe as you can be in the USA, really! The entire year, nobody on my base died from enemy action, although some died from suicide, accidents, or medical conditions (e.g. heart attack). I believe being in Iraq is just as safe for any soldier as being in any US city. This is something you’ll never hear about in the mainstream media. I also believe that the Iraqis generally like us, and look at US Forces as a source of stability, economic growth, and an honest broker in the reconstruction of their country. So if anyone else in Iraq is interested in blogging, I hope that this blog provides some inspiration. Bloggers are doing a fine job of showing the American people what is really going on in Iraq. Now onto the topic of some critics of this blog. All year long, I’ve gotten the occasional negative email from someone wishing to attack the blog. The most common reason is that the critic takes issue with the “OPSEC” (operational security) of the blog, a military way of saying that I have been giving away military secrets, or that this blog is otherwise illegal. Any discussion of this topic should begin with reference to Army Regulation 530-1, AR 25-2, and also U.S. Army Public Affairs Fact Sheet dated 2 May 2007, interpreting AR 530-1. In addition the military command in Iraq has published MNCI Policy #9 regarding blogs (I’m posting all of these public documents here AR 25_2; AR 530_1; MNCI Policy #9; USA PA Fact Sheet on Blogging). 1. A soldier should inform his or her OPSEC officer and immediate supervisor when establishing a blog. Army Regulation 530-1. (I have done this). 2. In no way will every blog post/update a Soldier makes on his or her blog need to be monitored or first approved by an immediate supervisor and Operations Security (OPSEC) officer. America’s Army respects every Soldier’s First Amendment rights while also adhering to Operations Security (OPSEC) considerations. If anyone cares to take the time to review these references, and then review my blog, I am convinced you will not find a single violation of any rule or policy in this blog. Hi Brian. Just a quick message. I think it is really great that you kept a running journal on your stay and happenings in Iraq. Unfortunately, I also think that it was meant to be private. There are certain things that just shouldn’t be shared with others. Sending comments to your wife to discuss things on how it is going for you and to get support is one thing. Announcing it to the world is totally different. As you should know being a soldier. To release information on crashes and being under fire is uncalled for and may cause terrible thoughts and findings for family members. Which is not your place or your job. That is why we have family readiness groups. It is also my opinion that you are putting your fellow soldiers in danger by some of the things you have said. Especially to display maps of the camps. That is like saying here is an open invitation. 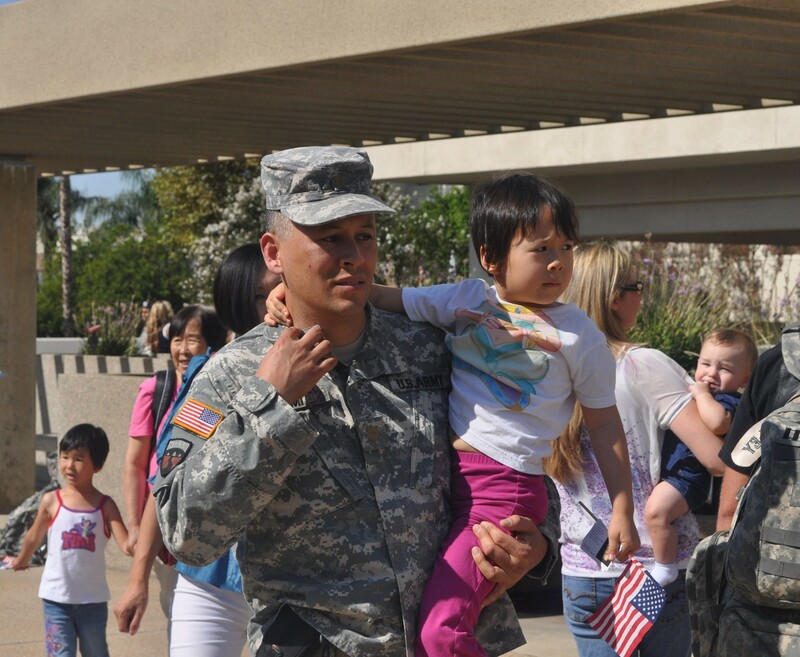 You may be leaving, but there are others still serving, in which my husband being one of those soldiers still there. So for you to compromise him or any other soldier is pure stupidity! How you have gotten away with this is beyond me. You should be reprimanded for this. In closing, I do hope that you have a safe return to your home and family. Every soldier deserves that!!! 1. Talking about a helicopter crash on the base — I blogged about this two days after the incident was published in the newspapers, and disclosed nothing beyond what the newspapers already included. Hard to see how one could possibly compromise anything by referring to something already in the newspapers. 2. Describing being under fire — Point taken, in that describing battle scenes and the protective measures of military facilities is prohibited. The bottom line is that EVERYONE knows that we get rocket and mortar attacks, and this information is so widely known, that I don’t see how any reasonable person could take issue with my writing something like “The only threat was the occasional mortar or rocket attack, perhaps once every week or two. . . . ” This is such a general report on the attacks, that I believe freedom of the press clearly takes precedence in this case. 3. Displaying maps of the camps. The maps I’ve posted are either taken from Google Earth (a public source of information), or are maps that are so out of scale that they could not reasonably be used for any attack on the base. Bear in mind that we let thousands of Iraqis onto our bases, and the general location of most facilities is very well known to these folks. The secrecy factor of these maps is extremely low, inasmuch as they are given to foreign nationals as well, and I see no realistic security threat caused by my posting the maps that are on this website. I believe that the blog is 100% legal, and 100% proper. Nothing on this blog is a threat to the lives or safety of US personnel anywhere. Anyone taking issue with this is welcome to challenge this assertion, and my email address and contact information is prominently posted on this blog for you to do so. There were several other emails written to criticize the blog, most of which were not nearly as articulate or constructive as Ms. Peterson’s. I’m not sure what would motivate someone to write a nasty email to me, but hey, it’s the internet and anonymity makes people do weird things. The worst thing that can be said is that I posted some photos from the JBB airfield, and unknown to me there is some Air Force rule prohibiting any pictures from the airfield. Even the Air Force folks who saw my pictures realized that there was no threat from the photos I posted, and so they did not take issue with my blog. The bottom line is that nowhere in this blog, anywhere, is there any information that could be used to threaten American lives, or compromise sensitive information. I invite others to take issue with this, and you are welcome to contact me with any concerns after viewing this blog. WOW! Thank you very much Leah!! I’ve gotten dozens of similar emails with similar thoughts, but this was the first actual letter, and it says it all so very well. Ms. Ritter’s letter even included a nice family photo. Anyway, I am glad to have done the blog, and I hope it helps others to understand life in Iraq. The above topics are very valid concerns, and anyone blogging in Iraq should be aware of the above discussion. If you are ready to start blogging, I highly recommend WordPress (www.wp.com). It is great, because you can put your text, photos, and other files including even video, all on the blog for the world to see. Let other sites like Milblogging.com and the Thunder Run have a link to your blog, they are great at promoting military blogs. Go ahead and get started, and let me know if you do!! When I last posted, I was on the airplane flying from Fort Bliss, TX, back to March AFB in Riverside. We got off the airplane on , Sept. 26, at about 8:30AM. We walked off the plane, and were greeted by BG William Frink, as well as several other local army folks. They had some Marines from the local base to pick up our luggage, which was nice. 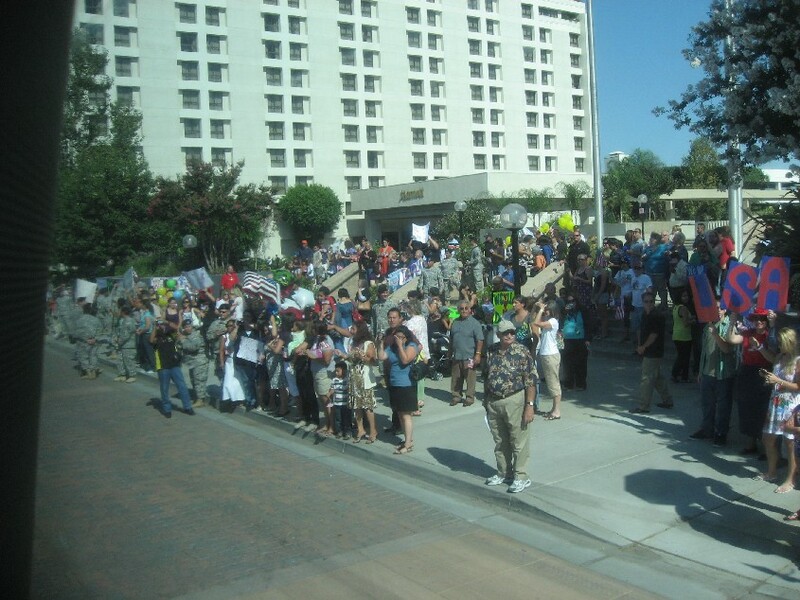 Our group had about 65 or so people by this time, many cross-level soldiers having already left to go directly home from El Paso. The brigade commander gave a short speech for about 3 minutes, and then we were released. It was a very happy time, because many in the crowd had not seen their family members for several months! It’s great to be back home, finally. I have more to say, but that will have to wait for another post. There are several other things to talk about in this Blog pertaining to Iraq, the military, and related subjects, so please continue to visit! We just finished our time at Fort Bliss. 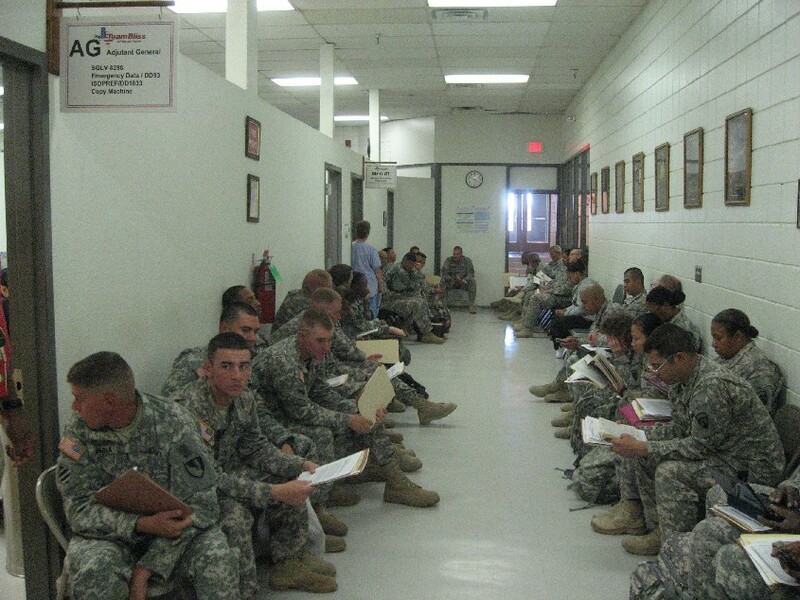 But I wanted to put up a post discussing only Fort Bliss, so that you the reader will have a basic understanding of what de-mobilizing is like. Every reserve unit has a “Mob Station” from which it mobilizes and de-mobilizes. 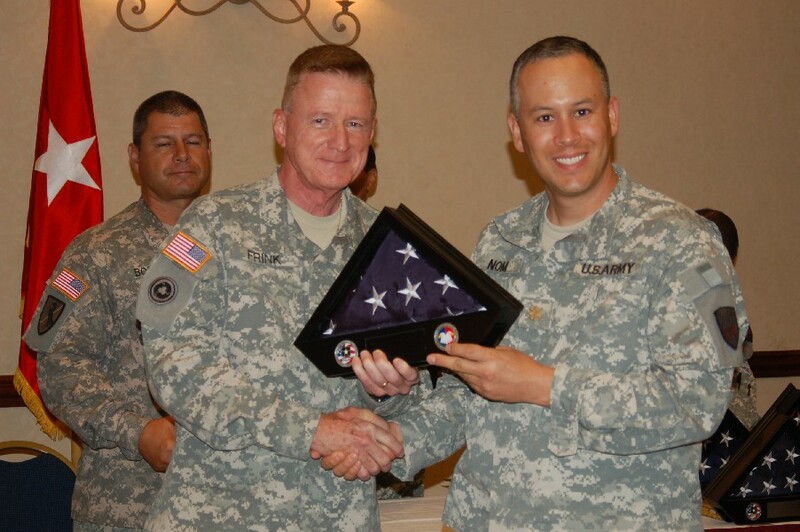 The 304th Sustainment Brigade’s was Fort Bliss, which is in El Paso, Texas. After that, they gave us a TB test shot, and let everyone eat a little breakfast. The eggs were runny, the potatoes rubbery, and the french toast was burnt to a crisp. 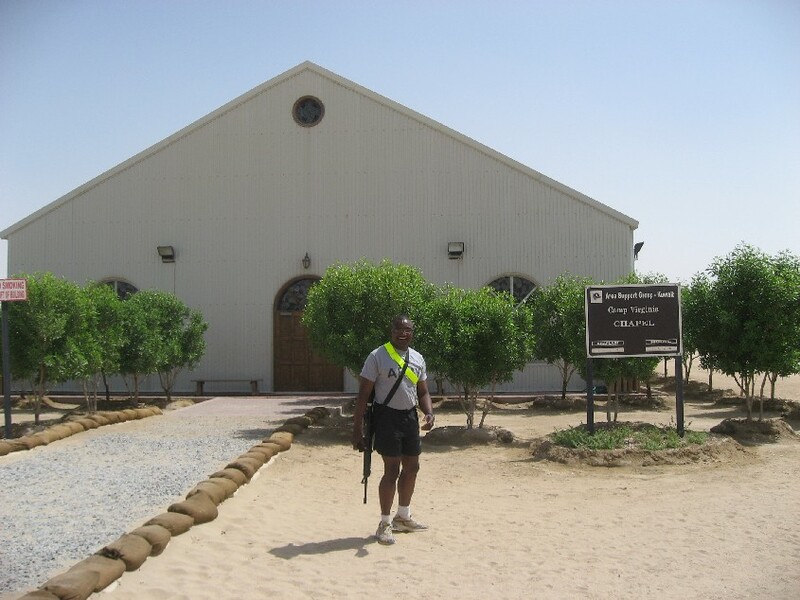 We were then taken to our barracks, where we were to spend the next few days. The barracks were freezing cold, and dead cockroaches littered the floors. There was nothing to do, and we were stranded in the middle of this inhospitable military base. 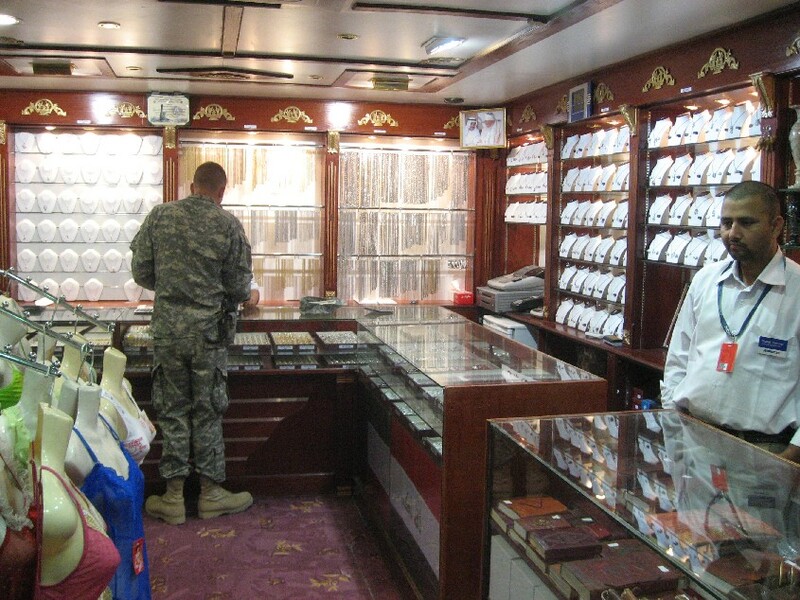 This was the first time I remarked that dining and living conditions were better in Iraq. We were all quite exhausted, and so the first day there was nothing on the agenda. I ended up sleeping from 10AM to 5PM, and then going back to sleep at 10PM again. I wasn’t that badly jet-lagged, and woke up around 4AM the next morning. They say that it is easier to travel from East to West, and this is true, judging by how severely jet-lagged I was the last time I flew from the US to Iraq. On that occassion I had a terrible time with sleepless nights for about 10 days. Note the lovely mountains in the background. I think El Paso is a nice place. Occasionally someone would come out and shout at us for some various infraction. By the end of this, I was becoming increasingly disgusted at the way the permanant party staff talked down to everyone, and treated us like cattle. But the process was over after a couple of days. Nobody got into trouble, even though alcohol was available at shops all over the base. We had a farewell ceremony at the El Paso VFW Post 812, which is located in a very scenic spot on top of the mountain overlooking El Paso. About half the unit left the next day on flights to their individual homes. 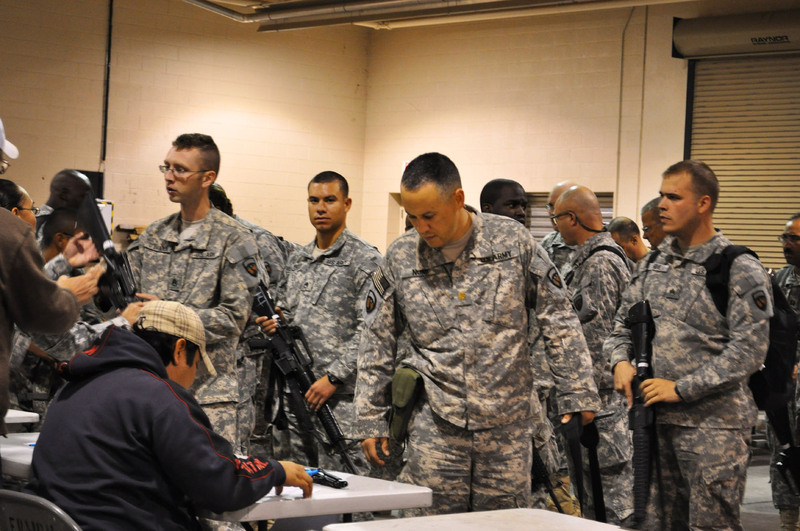 These were the cross-levels, people who were assigned to the unit only for the duration of the deployment. The permanent 304th SB folks stayed on. This is the same facility that we flew out of at the start of our tour last year. 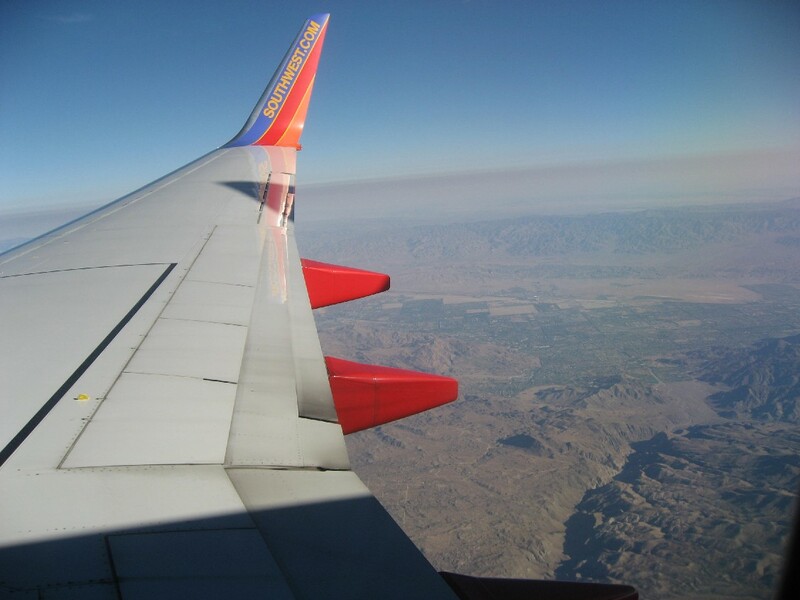 We had a chartered flight by Southwest Airlines, and I have to say, this was a real pleasure. The Southwest crew was very friendly, and the flight went perfectly well. Right now I am at Fort Bliss, Texas. When you leave Iraq, you don’t just hop on a plane and go straight home. You must follow a de-mobilization process, which is similar to (but much shorter than) the mobilization that you go through before getting to Iraq. 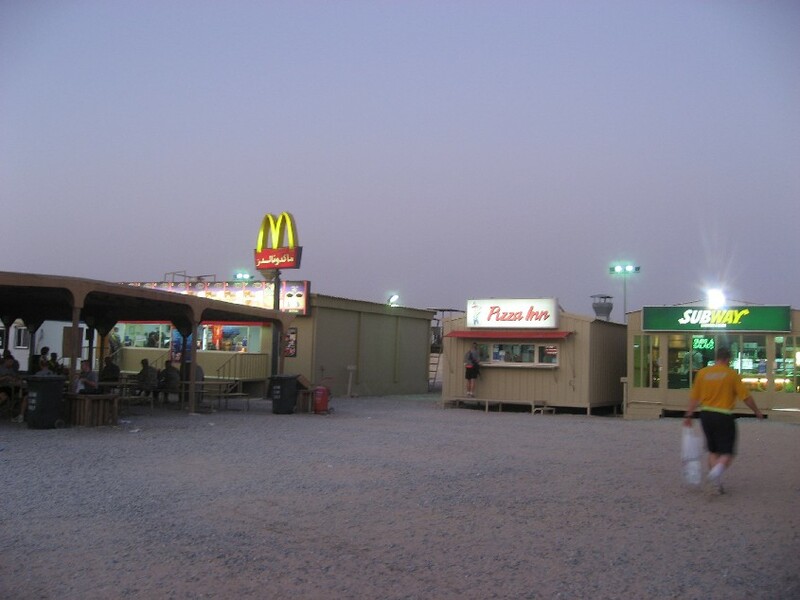 The basic way to demobilize is to fly from Iraq to Ali Al Salem (AAS) air base in Kuwait, and then spend a night or two at Camp Virginia, which is quite close to AAS. If you are unlukcy, you’ll spend many nights at AAS. We were lucky, and spent only two nights in Kuwait total. 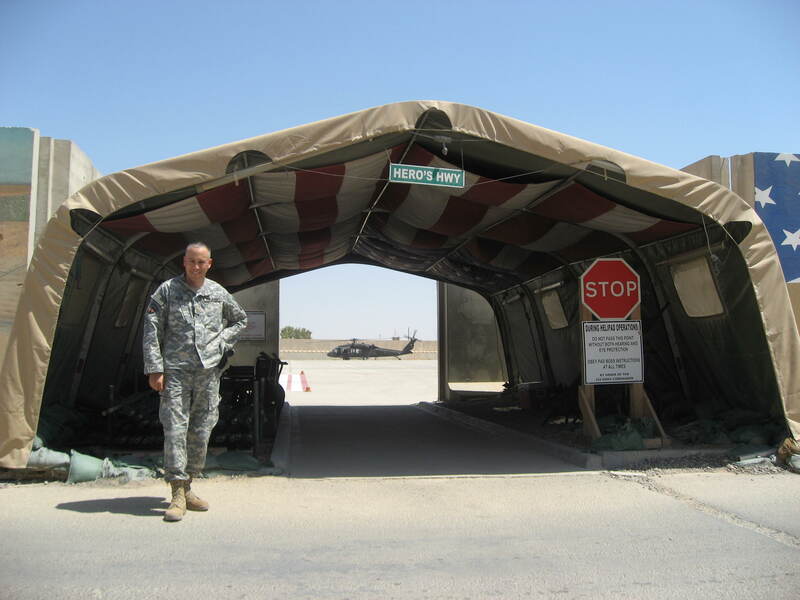 All Army personnel must clear the CENTCOM theater through AAS, and then clear customs, and then wait in the Freedom tents for at least 10-15 hours before getting a bus over to Kuwait City Airport, and then flying back to the USA. There are several routes, but the routes usually involve a stop on the flight from Kuwait City in either Leipzig Germany, or Shannon Ireland. You then continue on to the USA, with possibly a stop in Bangor Maine, and a final destination that could be anywhere, but is often Dallas or Atlanta. If you read my previous post about the 15-day leave trip, you know how miserable the process of getting home is (Link is HERE). It was just as miserable this time, perhaps more so, but at least I was expecting it, so it didn’t discourage me as much this time. Anyway, there are several more pictures that I took at Camp Virginia that I wanted to share. This was my last day in the Middle East, and it’s worthwhile to share the pictures from Camp Virginia and the road home. It’s air conditioned and has chilled water. Not a bad way to spend a few hours. I eat at the DFAC and avoid shopping for tshcotchkes. I’m playing a game, to see if I can spend the entire month of September without spending a penny. So far I’m succeeding. There are many other things to do on Virginia. There is a nice phone/internet center, a USO, and a rec center. Anyway, we packed up and left for Ali Al Salem around midnight. We cleared customs at about 3AM. Our flight left around 5PM that same day. We spent a hellish day in the Freedom Tents, imprisoned and hot with little to eat or drink, and waiting for our ride to the airport. But like I said, we were expecting a hellish day, so it wasn’t that bad this time. And that is the story of my Road Home. I have much more to post about, including how things are going here at Fort Bliss, and a few other Iraq-related posts I’ll get to later. 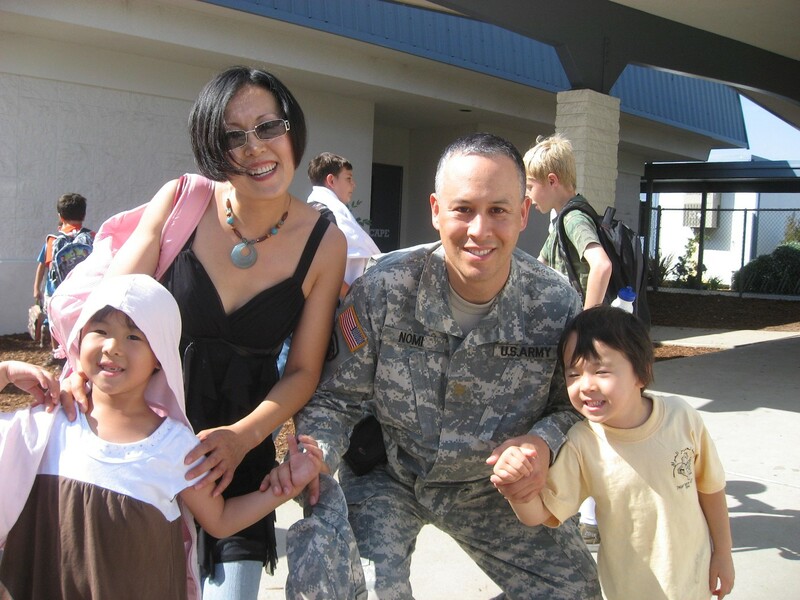 So stand by for more on the story of my deployment to Iraq, and how I will get back home.